Rotterdam is one of the few cities in the Netherlands who is actively busy with audience development. 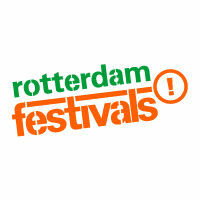 Rotterdam Festivals is the organization who is most active in the field and assists the Rotterdam cultural sector in its audience reach. We assist Rotterdam’s cultural sector in increasing its audience reach by collecting and sharing knowledge about culture marketing, the audience and potential audience for cultural activities. We make use of collective audience research to find out more about cultural participation by the citizens of Rotterdam: who visits what, why and why not, where do they find information about cultural activities, how do they experience art and culture? The basis for all our market research activities is the Rotterdam target audience model, which divides the population of Rotterdam into eight different target groups. On June 2 Rotterdam Festivals organized the closing conference of the European exchange programme Open All Areasin Theater Zuidplein. Open All Areas is a program which seeks to find ways to overcome the barriers of cultural exclusion and create cultural access for all. The first meeting took place in Rotterdam at the end of 2012. From then on the six participating countries (Belgium, Denmark, Norway, the UK, Italy and Spain) organized meetings in their country where interesting examples were presented by cultural organizations working to reach socially or economically excluded groups. During the final conference, Rotterdam presented two more examples as last one in this sequence. Present were 47 cultural professionals, including 15 foreign guests.